Watercress is a green, leafy vegetable and herb that adds a spicy flavor to your salad. It is a powerful cleanser for your blood, may improve digestion, helps to clear your complexion, helps to normalize blood pressure and works as a diuretic as is draws excess fluids out of your body. It is high in carotenoids, manganese, calcium, iron, copper and vitamins B1, B2, B6 and C.
The high amount of chlorophyll in the leaves naturally detoxify chemicals and other foreign substances by absorbing them from your bloodstream. Watercress increases and / or regulates the flow of bile in your digestive tract, which in turn helps these toxins leave your body. 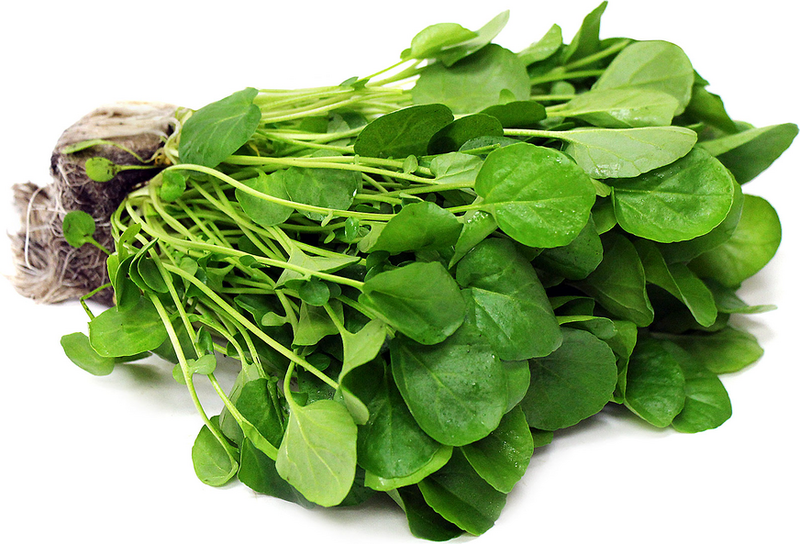 Watercress contains a natural chemical called PEITC, which is a strong fighter against cancer. Studies have shown that this chemical interferes with the growth of colon cancer cells and prostate cancer as well as block the growth of breast cancer cells. This leafy green contains almost three times as much calcium as it does phosphorus. This is important since your body needs a proper balance in ratio of these two nutrients. Certain substances (like many sodas) contain high amounts of phosphorus, forcing calcium out of your bones therefore contributing to osteoporosis. Unfortunately, it is a fact these days that more and more young boys are showing symptoms of osteoporosis, thought to be due to over-consumption of sodas. Drinking watercress juice can be a good replacement and possibly even reverse some damage. The best way to consume watercress is to eat it raw and as fresh as possible. I find it at the local market, still sealed and in dirt so I can cut it fresh every day. If you make it to your local farmer's market you will probably have a good chance of finding it. And, if you decide to drink it, it is considered an herb, which can be strong, so it is best to mix it with carrot juice or a combination of other veggies.